Create a new Prisindex by clicking Opret Eget Prisindeks in the top right corner. Give it the name Clerk. Use the following code to create the Data Feed. 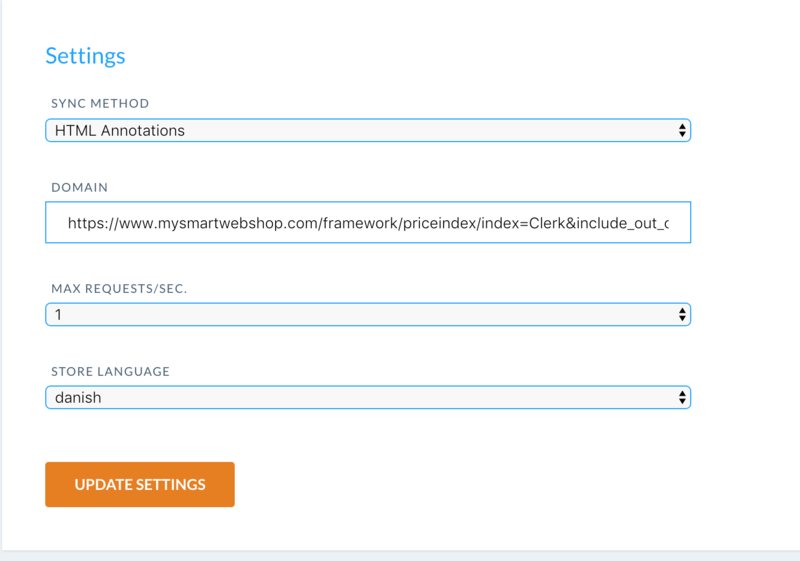 This will generate a link with the product feed, which can be used in the HTML Annotations importer at my.clerk.io. Go to my.clerk.io -> Data Sync. Under Sync Method, choose HTML annotations, and insert your link. Then set the Max Requests/Sec to 1 and choose the language.